The arrival of apparent Mongols into Australia got things moving rapidly at Melbourne International Airport. 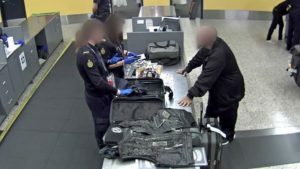 Two American men who arrived at the airport on a flight from Los Angeles drew the attention of Australian Border Force (ABF) officers. During a subsequent examination, the ABF said it established links between the men and the Mongols motorcycle gang. The Americans had their visas cancelled and were swiftly removed from Australia. The reason? They were deemed have links to an outlaw motorcycle gang (OMCG). That’s enough to invalidate a visa, so both Americans had their visas cancelled under s116(1)(e) of Australia’s Migration Act 1958. 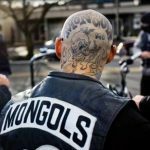 The Mongols rank among “the 10 most dangerous motorcycle gangs in America”, according to a recent examination by California-based news and information website Complex.com. Based in Southern California. Mongols membership is estimated at about 1500. Complex.com says the Mongols are a “powerful force” in Southern California (SoCal). 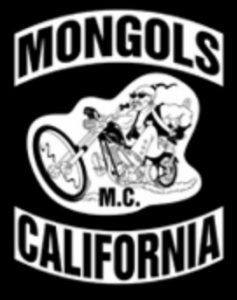 “With the help of standing allegiances with Latino street gangs, the Mongols took control of the SoCal from the Hells Angels in the 1980s and still hold the turf today,” the site says. According to the Complex.com profile, most of the Mongols are Hispanic or Native American. Acting ABF regional commander Greg Dowse said the ABF is committed to protecting the Australian community from harm. “These gangs pose a significant threat to our community and are known to be involved in serious criminal activity including drug trafficking and violent crime,” Dowse said.